HMD Global, the current manufacturer of Nokia handsets, has a reputation for releasing timely updates to its smartphones. This also includes major software upgrades, and we're happy to say that another Nokia phone will soon make the transition to the latest version of Android. Many thanks for being part of the Android 9 Pie Nokia phones beta labs program with your Nokia 6.1 Plus. Thanks to your valuable feedback, the official release will soon be ready and available to millions of users. Once Android 9 is approved by your operator, it will be automatically pushed to you via OTA. While it's regrettable that we don't have an exact release date to report on, we're certain that it won't take too long before the patch goes live. 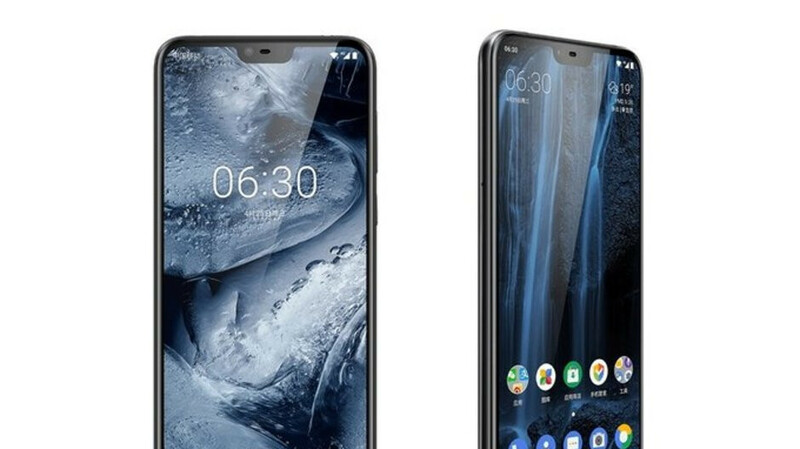 Nokia 6.1 Plus users can expect all the major Android Pie features, such as Dashboard, a new gesture-based interface, redesigned Quick Settings, and more. If you'd like to get all the details about the update, feel free to check out our Android 9 Pie review. I own this phone and currently using the beta version. All i can say is that there are a LOT of bugs with the Pie, mostly minor quirks like texts being cut, duplicate icons in the notification tray etc. Surprisingly, the software is stuttering especially when you are scrolling through your recent apps! Nokia may be fast but my Moto X4 with SD630 (vs SD636) is way way faster and more reliable! I figured as much. The X4 is far more versatile than the Nokia phones. And it's an Android One phone that works for ALL carriers. Be careful when you post stuff like this, anecdotal as it may be. You’ll have people that have never used a Nokia smartphone in their life and who only post on HMD articles to hate running with this likes it’s a fact for every Nokia branded smartphone, lol. And that is the reason why Nokia is having a hard time selling their phones. These Nokia fanboys aren't really buying Nokia phones. I'm not a fan of Nokia but this phone is relatively cheaper..it turns out I got what I've paid for. No regrets though, but this goes to show that HMD isn't really ready for primetime. Except, they they aren’t having a hard time selling phones. They are number 9 on the global smartphone market. They are number 5 out of the top 10 brands in Europe. How does that equate to HMD not selling phones and not being ready for prime time? Where are your statistics to back up that claim? You think that the fans aren’t buying their phones when HMD has had so much growth in only two years since they’ve entered the smartphone business? Think again. And if you have “no regrets”, then why complain on so many Nokia related articles like the guy that agreed with you? Who keeps using a smartphone that they constantly complain about? Anecdotal evidence won’t cut it. It just makes you sound bitter and makes it seem like you complain for the sake of complaining like that guy that agreed with you. I understand what you are saying. Unfortunately, some people don't seem to understand the point even though you clearly stated what you meant. People just can't be reciprocal of others opinions. While it's faster than most OEMs, it still lags behind the Essential phone because they were already rocking the beta build of Pie before the official release. Ha ha yeah! That is some fire sale that Essential has got going on at the moment. I got one when it dropped below the $300 mark. Worst decision I made for a phone ever. To each his own. It was a very good deal for a flagship device that is running stock Android, gets regular updates, and usable on ALL carriers. Lol, I can understand why you feel it was a bad decision to buy it. Going by the documented issues from real users such as yourself, the Essential Phone was essentially a beta phone. You see what I wrote up there? By the time I wisened up to send it back, it was too late. I am now stuck with sub-$300 paperweight that I can’t use on my cell network. Like Homer Simpson would say, Doh! While Essential may have updated their ONE smartphone faster this, they only have ONE smartphone to worry about, and probably won’t be around this time next year, unlike HMD that’s going strong with their Nokia branded smartphones. One smartphone excuse is just people trying to push the goalpost back again. Some OEMs only have one flagship and still fail to keep their device updated.